What better topic for our 100th episode than the star of our favorite show? 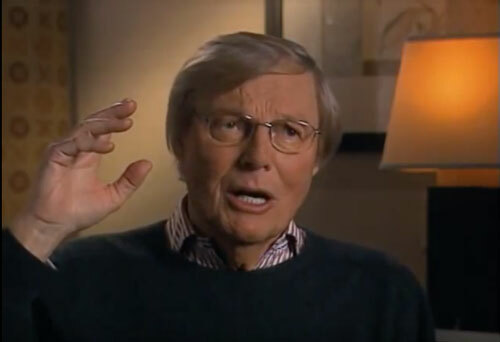 We watched the Television Academy's 2006 interview with Adam West, which does overlap somewhat with Adam's Back to the Batcave, of course, but still gives us some new insights. Then we realized that there's someone else we haven't given enough credit for the good things in Batman '66: Executive Producer William Dozier. While we rail against his penny-pinching ways as the series went on, if it hadn't been for him, our beloved show might not exist! A bit of research turned up a 1966 episode of the CBC program Telescope which not only featured a Dozier interview that provides an interesting comparison with West's, but also some fascinating on-the-set footage. Great discussion here. I was sort of hoping we'd get a Batman Returns episode in time for the holidays (what? am I the only one? ), but an Adam West and Bill Dozier interview is probably more appropriate for a milestone like episode #100. Dozier does get some flack, even here from the shows biggest fans, but I don't think it's ever meant as anything personal. In contrast to Adam West or Lorenzo Semple (the artists who brought the show to life), Dozier was the suit who pulled the strings. So I guess depending on if one sees the glass as half empty or half full, he either slashed the budget for Season three and changed the show in a less than desirable way for personal gain... Or is the reason the show was made at all. A moment of silence to pay respects from this Bat fan! 'Nuff said. Adam West rules! Sorry to be so long replying. I thought I had listened to these interviews, but I don't think I had all of them. I didn't remember the story about how Adam West met Bob Kane. Kane really seemed to want to use the show to promote himself. 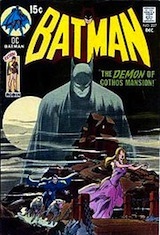 Did either of you read the 60s Batman newspaper strip books? One of the volumes featured letters that Kane had written to Bill Dozier. 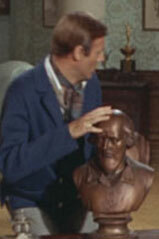 In one, Kane complained that his credit card for creating Batman wasn't onscreen long enough. Kane also thanked Dozier for using his "friend" Bill Finger's script. Kane said he was planning on helping Finger with the script but wasn't able to, like he hadn't already claimed enough credit for Finger's work.